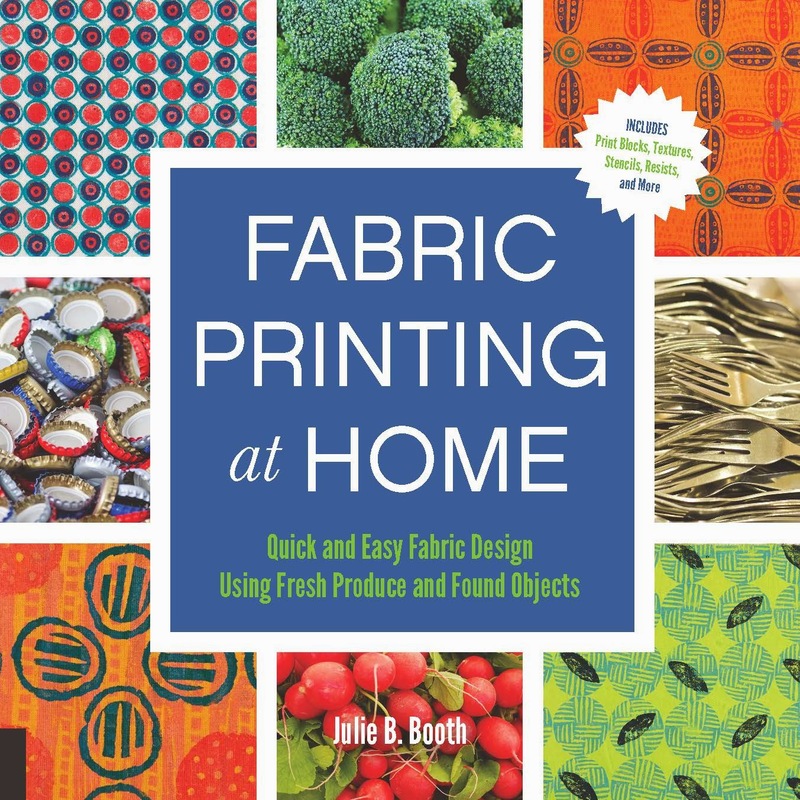 Today is Day #5 of the Fabric Printing at Home Blog Tour. Thank you all so much for your sweet comments! I've had a great time putting this all together and am so lucky to have thirteen VERY artistic friends helping me out! The Tour heads to Carol R. Eaton's blog today. I had the pleasure of meeting Carol last year at a SAQA conference in Virginia...she is a delight and a very talented artist. Her forte is gorgeous hand-dyed fabric...especially ice and snow dyeing (and since she lives in Connecticut there's been a great deal of the latter going on!). 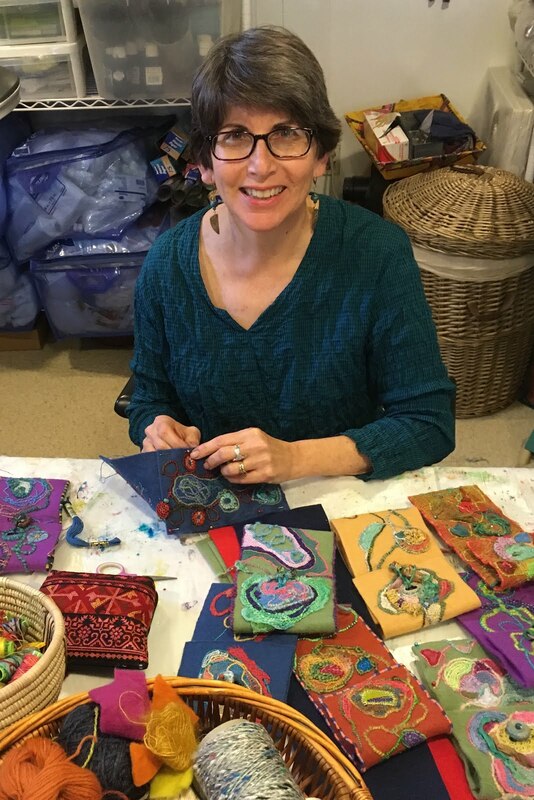 Carol R. Eaton is a surface design artist who has been creating original, one-of-a-kind fabrics for the past 10 years. Inspired by the natural world her designs are filled with warm colors, balance and an unexpected variety of textures. Eaton’s work is made using only the highest quality fabric and incorporates unusual techniques such as dyeing with ice, manipulating dyes and the use of decolorants. Each art cloth in the collection is signed by the artist. 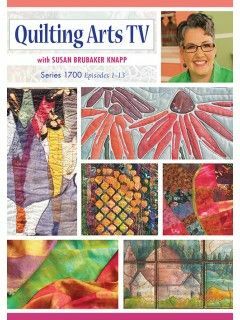 Stop by Carol's blog today and leave a comment for a chance to win a copy of Fabric Printing at Home. AND Carol is also giving away 4 fat quarters of her hand-dyed fabric...how great is that!? I love the graphic look of folded and cut paper designs. They are also so easy to make. Use them as a jumping off point for designing stencils and carved print blocks. When I'm using folded and cut paper as a design tool, I usually either make paper cuts that are the specific dimensions of a print block (e.g. 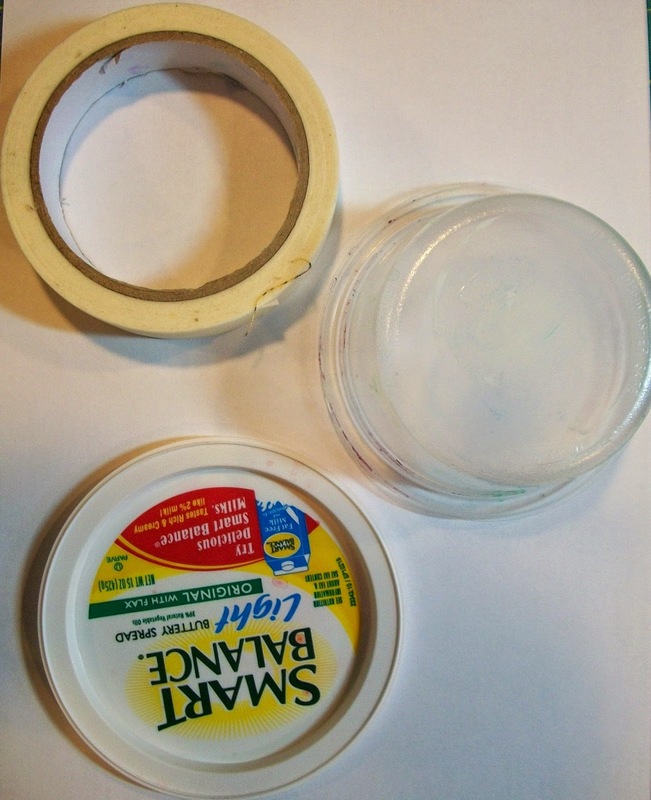 Speedy Carve) or use shaped templates such as a margarine top or the inside diameter of a tape roll (see below). Once I've traced and cut out the shapes, it's time to fold them before cutting out the details. 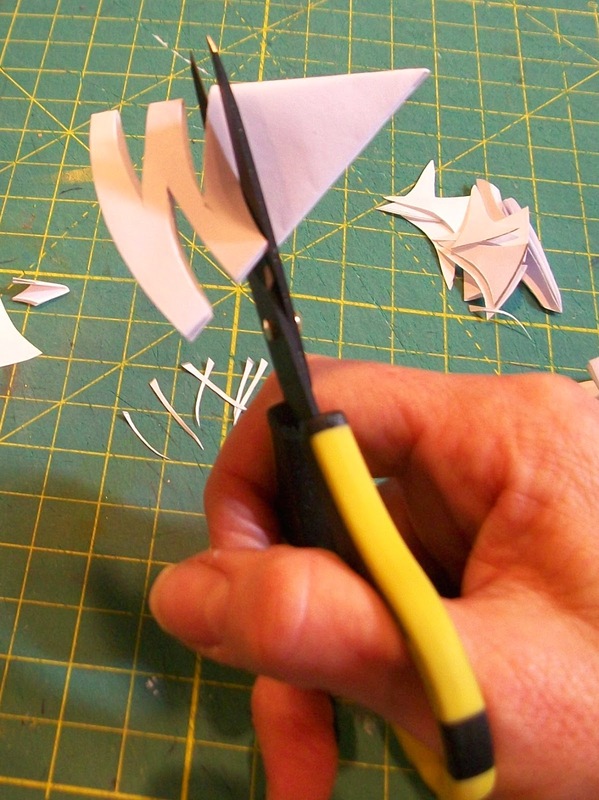 I usually cut freehand using small sharp scissors. 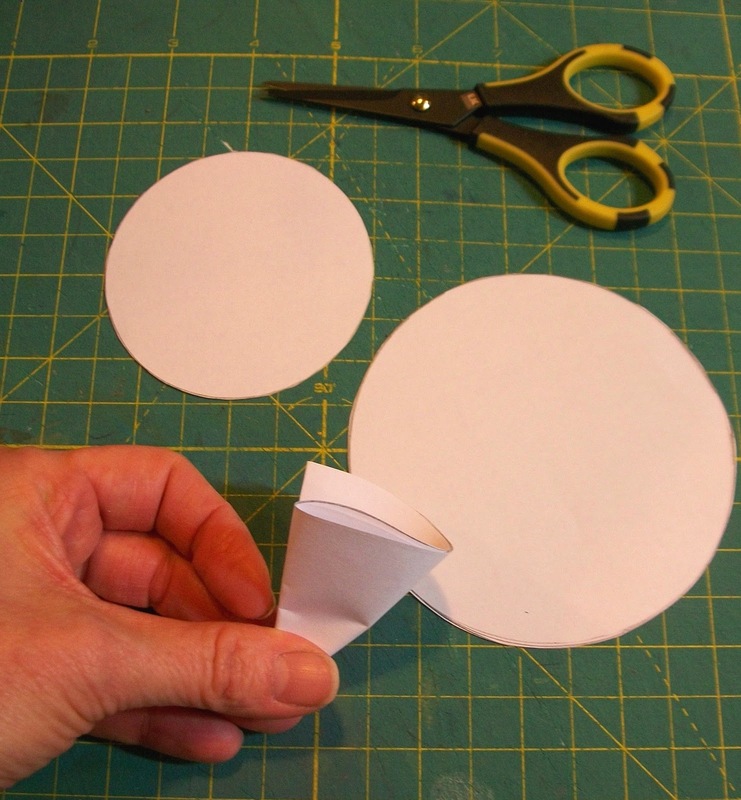 I love the thrill of opening up the folded and cut paper to reveal an unexpected design! Next, I glue these designs to black paper. The contrast enables me to see how the design would look printed as a stencil or print block. From there I can trace and transfer the design to the final stencil or print block material. Chapter 5: Recycled and Repurposed in Fabric Printing at Home shows you how to turn these bold, graphic designs into stencils. 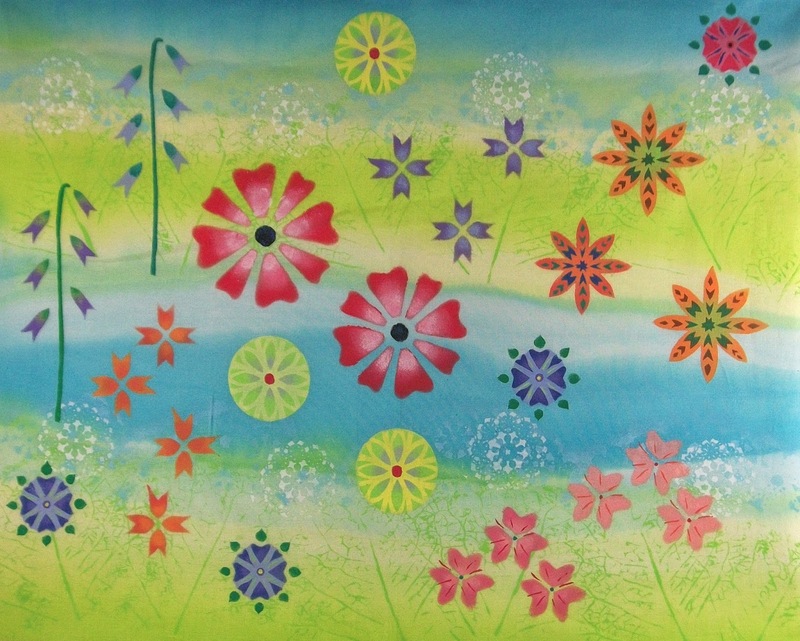 Here is a fabric I designed using stencils. I call it, Nanny's Flower Garden in honor of my grandmother. You can see that I used a number of folded and cut paper designs as a basis for the stencils. Today's giveaway is a pair of Non-Stick Fiskars scissors. 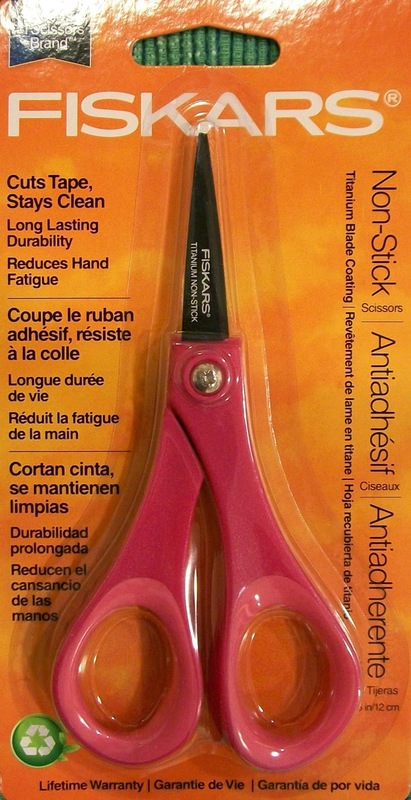 Use them to cut intricate paper designs. Leave a comment for a chance to win. I will choose a winner at 11:00 PM Eastern USA time. Check tomorrow's post to see if you are the winner. Your comment also enters you in the final drawing on February 15 for a free copy of Fabric Printing at Home: Quick and Easy Fabric Design Using Fresh Produce and Found Objects. And now for the winner of yesterday's giveaway (two Detailer Writers)....congratulations to Sue Andrus! Please email me with your contact information (threadborn@cox.net) so I can send off your prize. Tomorrow, the Tour stops at Judy Gula's blog. 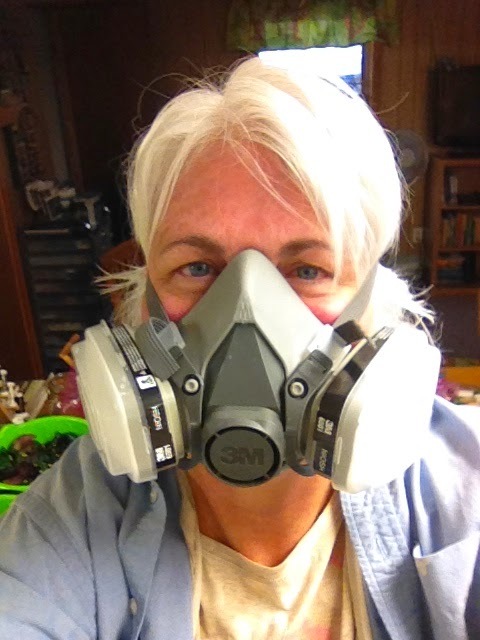 Judy owns Artistic Artifacts...a fiber and mixed media artist's dream shop! I drool over the hand-dyed threads and beautiful batik fabrics every time I visit! Enjoying this blog hop and the tips you are sharing. Hi Chris- Glad you're enjoying it ...It's been a lot of fun for me too! You make it look so easy! Glad we get to benefit from all your hard work. Thanks, Kathy. I'm enjoying sharing it with all of you. Glad you're getting inspired Luann! Love the designs you have created with the paper circles and the inspiration to make them into stencils. I am going to try that. Glad I found your blog-so many interesting ideas. Thanks for sharing your knowledge and the chance to win goodies! Hi Lynne- I really just love paper cuts and turning them into stencils seemed like the natural next step! Such fun to visit so many different places for daily inspiration. I'm also loving what I'm seeing at the other blogs! Fascinating all the great ideas you've come up with Julie.So very creative. Thanks Maya! I'm curious about your book...when does it come out? What a terrific way to make templates. This blog tour is giving me so many ideas; my list of 'must try' is really growing! That's great, Mary Elizabeth! Hope you'll share what you create. Love that you share so much, tips to recycle stuff into stencils and create new fabric are wonderful. Thanks, Lydia- I enjoyed sharing. You might like my online newsletter...comes out once a month and it's free (sign up to the right). 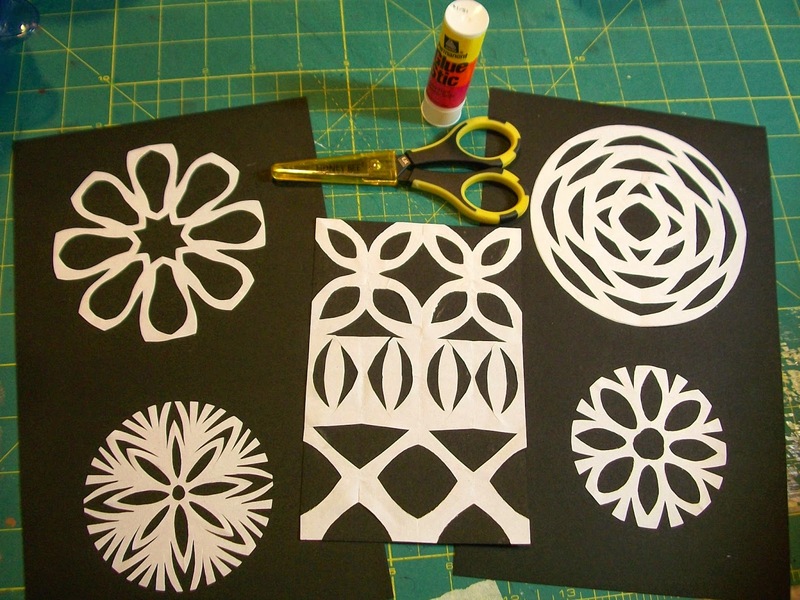 Never thought of using cut paper designs to create stencils! 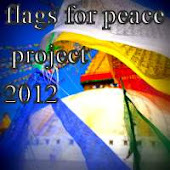 Inspired & inspiring...thanks! It sounds as if your book is full of exciting ideas. You obviously nurture your creativity consistently. Thanks for sharing. Thanks Monica...I do a lot of "what ifing"! That is a great idea, Norma! Thanks, Debbie and thanks for adding the Blog Tour giveaways to you site. I didn't know there was such a thing as non-stick scissors. Learn something new every day! Enjoying this blog hop. So much good info and tips for beginners like me! Wow! I'm in love with these cut paper designs! Again, thanks! The snowflake like designs are so easy to make but look so beautiful on the fabric.... Very inspiring .... I am new to sewing but love crafts .. Thanks for the giveaway. Love the stencils. Thanks for the great idea.